As the Manchester United players sat in the Etihad dressing room, facing up to the worst possible humiliation and maybe a defining bad day for the team, Jose Mourinho came up with what were evidently the best possible words for what now might be a defining good day. "You don’t want to be the clowns standing there, watching them get their title," the Portuguese said. Mourinho had actually come up with similar words the last time he was in such a situation, when Chelsea so epically denied Liverpool in April 2014. This isn’t completely the same context, and the words may indicate that the United job may end up differently than the one at Chelsea, too. Those words, after all, did two things. Firstly, they inspired the team to a vintage and glorious comeback, one that was so visibly relished. They secondly showed that the players are still listening to him, that his words really registered - that he got a positive reaction out of them. The latter is why this could be a genuinely significant victory for the Mourinho reign. One of the undercurrents of a generally underwhelming season from United has been that the Portuguese’s abrasive man-management approach would eventually burn the team out, just as it did at Chelsea and Real Madrid, and compound and combine with some of his other flaws as manager. This, however, proved that that prospect looks very far off. What’s more, that his words got that reaction - with Chris Smalling making a point of mentioning it after the game - will only further burnish his standing in the eyes of the squad; help create that bit of an aura around him again. That will actually be all the more pronounced because the first half was so profoundly bad. That is why this should really not be underestimated. It should really have been 5-0 at half-time, as United were completely torn apart, and facing up to what would have been one of the most embarrassing days for the club. They would have been, as Mourinho put it, 'the clowns'. The sad clowns who so pathetically and haphazardly allowed their local rivals to walk all over them for the easiest of title-clinching wins. Those are the sort of defeats that can start to destroy a side, as everyone starts looking around for who to blame for such an embarrassment. They were instead looking for people to celebrate. What could have been one of the worst days for the club turned into what was really the best possible outcome in the circumstances… and the sort of win that starts to bond a side together. That is what victories like this do. There’s also the fact this was a victory like from United’s best days, a classic stirring comeback. The way that evokes the club’s rich history will only further embolden the players; strengthen those links. They will feel that, yes, this is the team they’re supposed to be. To actually go and win the game, there was the significant second-half improvement in some of the most discussed and under-scrutiny players: Paul Pogba and Alexis Sanchez. United won with their best attackers released, and playing their best attacking football. One grand caveat is that a lot of this was undeniable circumstantial. Those attackers had to attack. 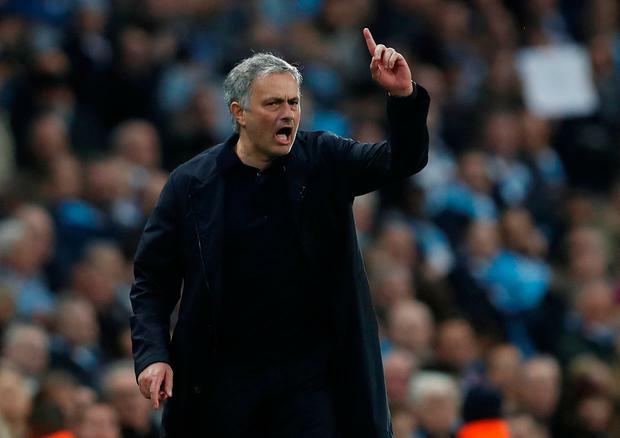 It remains to be seen whether Mourinho will release them more generally, and there are of course still very fair doubts whether the Portuguese can co-ordinate an attack in the modern way now required at the top level. The core of his teams has always been that intense competitiveness, something that is a value for any team, and this match showed he can still derive it from his players. It showed that the fundamentals of a team are there. Whether Mourinho can actually overtake City in the long term is another question, of course. This win emphasised that, at the very least, the foundation for such an assault is there. There have been many times when that didn’t look the case, but the encouragement now will be to build on it, to make sure it always looks like that from now on in. This win will greatly help in that. United were anything but clowns, there to be humiliated. They ended up as warriors, who reduced the champions elect to some real humility. Independent.ie sportsdesk On an evening of painful blows on the field, a jibe from the stands might have been the hardest thing for Arsenal fans to take.